NOTE: I am currently traveling out of the country through August 22. There are several movies being released this week that I have yet to see and will not get a chance to see them before they are released. If you see any of these films, please feel free to write your own reviews in the comments section. I will do my best to catch up with the reviews when I return. Plot: The toughest of the tough clash in a hardened city. This is one of those sequels that should have never been made. This first movie was pretty good because it was innovative and unique at the time of its release. 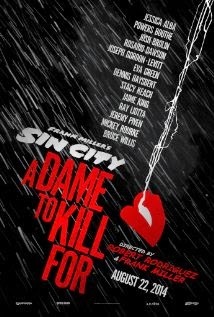 Now, we see two or three movies of this ilk hit the theaters every year. This movie is a collection of four separate, but overlapping stories. There are very few moments in any of them where we get any sort of depth of character or plot. It's mostly just surface stuff that makes it easy for the audience not to care about any of it. This is one of those movies that I see in theaters that, when it finally hits the DVD shelves I'll have to go back to my notes to remember the plot. Even big fans of graphic novels are going to think this film is okay at best. Plot: A girl in a coma has an out of body experience that allows her to decide whether to die or to live a life completely different than the one she had planned. Chloe Grace Moretz has become one of the premiere go-to girls in Hollywood, and rightfully so. She pulls off a wonderful performance in this young love tale. This is a dark film, but it is also filled with hope and inspiration. 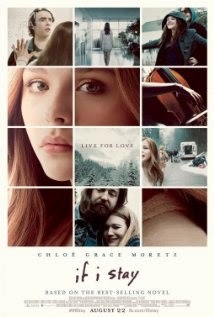 The director does a very good job of keeping the film from being overly sappy or overly depressing. And the back and forth between past and present works really well in this film. If you liked THE FAULT IN OUR STARS you will enjoy this movie as well. 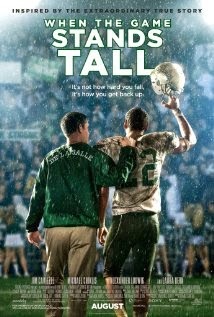 Plot: The triumphant story of the heart behind the 151 game winning streak of De La Salle's high school football team. If you see this movie please write your own review in the comments section for all to enjoy.